This is lacking freshness and delineation on the nose. 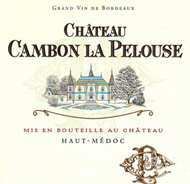 The palate is medium-bodied, ripe and animally but lacking some density and backbone on the finish. Drink soon. Tasted May 2008.